Andrea Downing is an advocate for previvors with the BRCA gene mutation and founder of a blog called Brave Bosom. 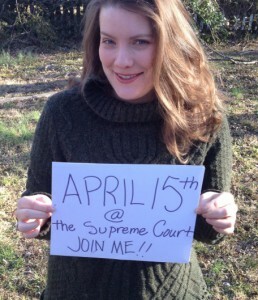 She will be speaking out against human gene patents on April 15th on the steps of the Supreme Court. You can join her at the rally, or offer your support online on Facebook and Twitter. My name is Andrea Downing. My reason for getting involved in the lawsuit to overturn and outlaw human gene patents is simple: I believe that my family and families everywhere have the right to stop living in fear of breast cancer. I believe women in my generation, as well as women of every generation, shouldn’t have to face the same difficult choices that I had to make for myself. For me, this case is personal. Six years ago, I took Myriad Genetics’ genetic test and learned that I had a mutation of the BRCA1 gene which gave me up to an 87% chance of getting breast cancer in my lifetime. Last year, I made a difficult decision to have a prophylactic bilateral mastectomy so that breast cancer could not claim my future. For the first time in history, we are beginning to understand the link between mutated DNA and cancer. For the first time, we have the resources and scientific knowledge to potentially find smarter ways to screen for, treat, and prevent breast cancer. The information contained within human genes carries the potential to unlock barriers to research that might make this suffering stop. We must have open scientific collaboration to bring about innovation and progress towards the goal of ending cancer. If we allow Myriad Genetics to hold a patent on human genes, we put corporate profit before women’s health. We give a company like Myriad the sole power to decide who gets to perform research on this gene based on what is most profitable for them, rather than what is best for the future of my family and your family. The Supreme Court will decide this year whether human genes can be patented. At the core of their decision rests the answer to the question: are human genes part of nature? 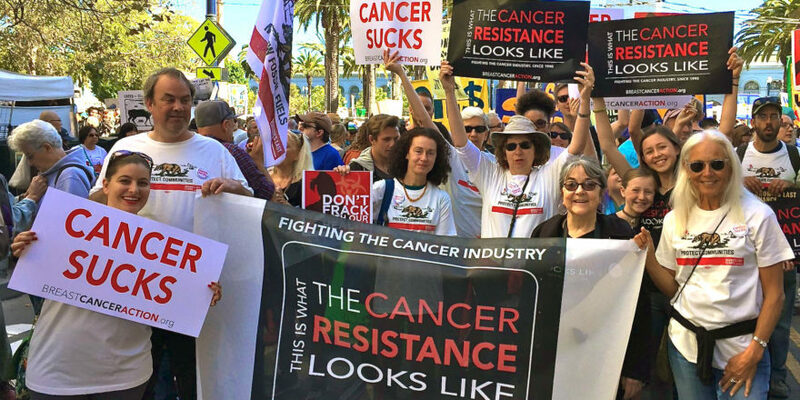 We have a choice to make between corporate profit and the health outcomes for generations to come. Isn’t it obvious? Our genes occur in nature. This snippet of code that exists within you and me is part of what makes up our unique human code. This human gene material makes up me. It makes up my family. A mutation in this human gene caused the breast cancer that took the lives of my great grandmother, my grandmother, and almost killed my mother. I believe it could have taken my life, too. I want the Supreme Court to outlaw human gene patenting because human genes belong to us all.